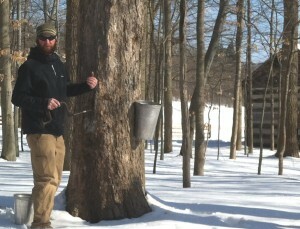 Join us at Hale Farm & Village March 9, 10, 16 & 17- 2019 for the Maple Sugar Festival and Pancake Breakfast. *Presale tickets are no longer available – Please purchase tickets at the door. Tickets ARE available at the door on event days! Breakfast served: 10 am – 3 pm (Hale Farm closes at 4 pm) Includes, pancakes, sausage, fruit, coffee & juice. Thanks to the generous support of Bissell’s Maple Farm we will be offering real maple syrup with breakfast this year!